Sometimes we all need to recharge. Work, socializing, exercise and, yes, time travel can really take the wind out of you. So why don’t you meet us in Cardiff and we’ll regenerate our systems together? Better yet, grab your best companion and wear these cozy Doctor Who TARDIS Onesie pajamas, just in case your space-time travel involves a layover or two. But don’t get too comfy, a nap in the window seat may result in a visit from the Weeping Angels; best to have the flight attendant keep the coffee coming. If you’re really getting sleepy, we recommend staying awake by catching up on the exploits of Rose Tyler or Captain Jack Harkness on the inflight entertainment. We hope you packed your sonic screwdriver in your carryon in case there’s a glitch. Be sure to order the fish sticks and custard when it comes down the aisle, as it will help lift your weary traveler spirits. And…well…we don’t want to be bossy or anything, but we want to ensure your travels are as comfy as possible, so be SURE to pack a marker in your carry-on in case The Silence also upgraded to first class alongside you; 3 ounces or less for that ink. 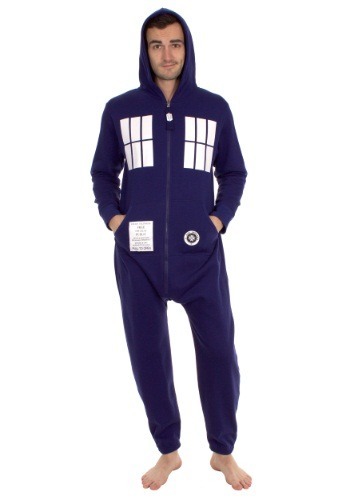 Now that you’ve got everything set for your journey, sit back and relax in this police-box themed one-piece (please don’t be mad at us when you need to unzip this outfit in the teeny-tiny lavatory). Remember, it’ll all be worth it when we greet you in Wales. 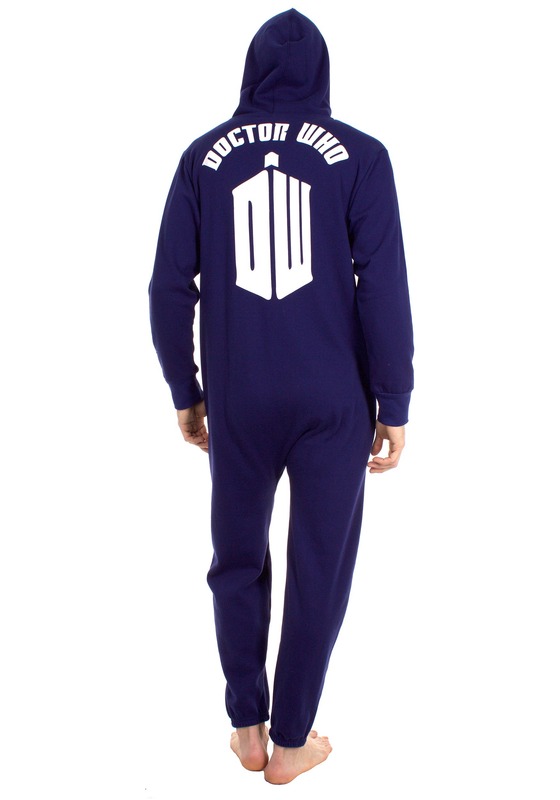 Just double-check the departure monitor and ensure that your TARDIS isn’t headed to Trenzalore.